It’s always recommended your important files backup. Although we know the matter we became aware of it. Accidently we lose the data, delete it or missed the data due to corrupted files or because of a virus. The technology is too ahead then we think now it’s easy to retrieve the deleted files from your device. Actually, when you delete the file it doesn’t delete from our system. There are possible timeline and criteria to retrieve them. To restore the data from the system our team of Merokalam.com has collected the top free data recovery tools for Windows. With the help of these applications, You can get back them in simple easier and quicker way. PhotoRec is a powerful recovery tool that helps you to recover your deleted and lost data from the system but the application doesn’t access to the formatted devices. The application is one of the most used tools by the window user around the world. Recuva is one of the best free data recovery tools that allows the users to recover the data’s in an easier way. You can easily retrieve the data from the drives that are damaged or formatted. It also allows the user to recover the data from some of the apps like email; ms word. The apps Seem totally different than the others because of the unique features. Recovering a file is easy but if your drive is broken or corrupt what will you do? You may try the above mention applications but its take to time. For that we recommend you to use TestDisk. With the unique feature of the app, you can repair the broken file system in a faster way. The free recovery tool TestDisk comes in packaged with PhotoRec to rebuild the formats for recovering the files. If you are tired of using other recovery tools and unable to retrieve your important data from the device then try UndeleteMyFiles Pro. 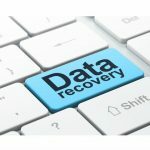 This tool contains unique data recovery options which provide the user’s tools additional items to get back the data from their device in the recovery process. Searching deleted files,restore the files and Emergency Disk Image are the unique feature that had made this popular and different than other applications. With an easy and simple process of Pandora Recovery, the user can get back the allows you to deleted data through the drive. You can restore archived, compressed, hidden and encrypted the files once you install the tool.